Soon after unpacking, Jenna and Ray began to explore the neighborhood and everything to do. While Raymond is busy playing chess this could be a good time to tell you a little more about them. 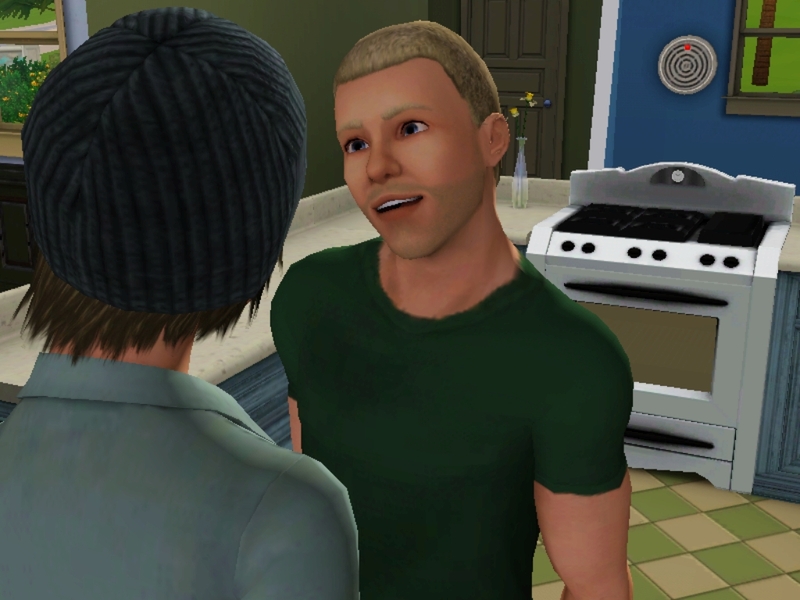 Raymond’s 5 traits are good sense of humor, handy, athletic, hot-headed and great kisser, his favorite color is black. Jenna’s 5 traits are heavy sleeper, family-oriented, clumsy, great kisser and excitable, her favorite color is purple. Jenna has brownish hair and Ray has perfect blond hair, they both have blue eyes. 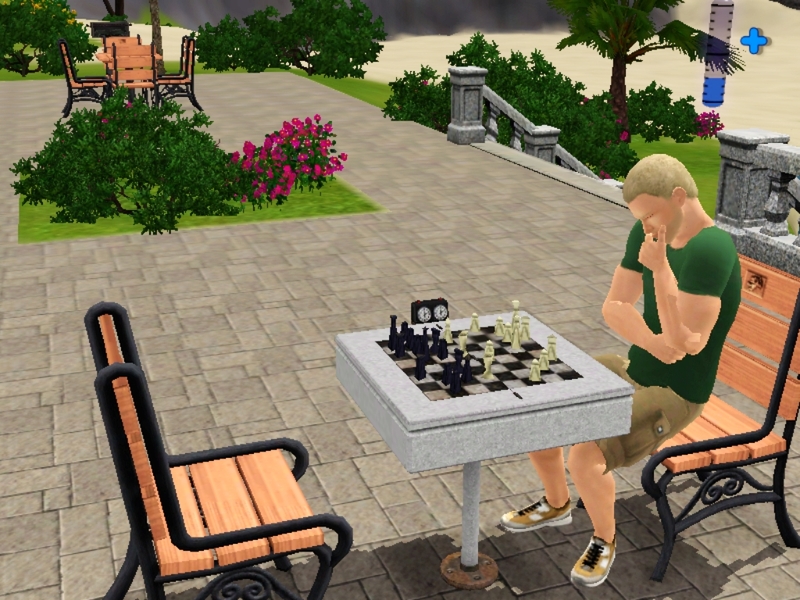 While Ray was increasing his chess skills in the park across the street, Jenna went to meet her next door neighbor Hank. He seemed nice. 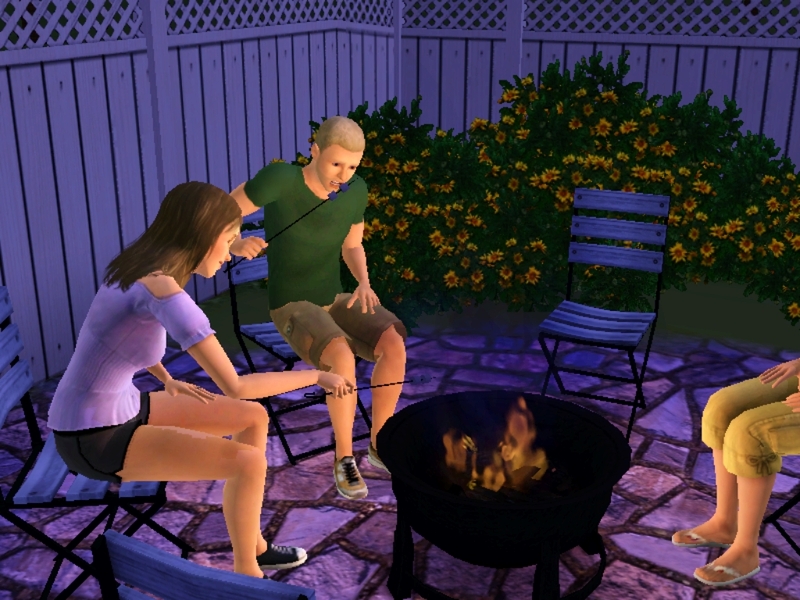 Later that night Jenna and Ray enjoyed roasting marshmallows in Hank and his wife’s fire pit. The Bammers were accepted into their new neighborhood quickly. When the couple got back home they went straight to bed because they had a tiring day. They quickly cuddled before falling asleep in each others arms. The next morning they quickly show affection for one another (Ray is either displaying affection or maybe its complete wonder that Jenna has stayed with him for this long, idk you can decide) before Jenna heads off to her new job in the Culinary career! Raymond, bored because Jenna is still working, invites Hank over for a quick chat. They soon become friends! Because of Ray’s talk with Hank he decides he too wants to get a job in the law enforcement career so that they can see each other during the day. A couple of nights later Ray and Jenna show more love for each other by woo-hooing!! 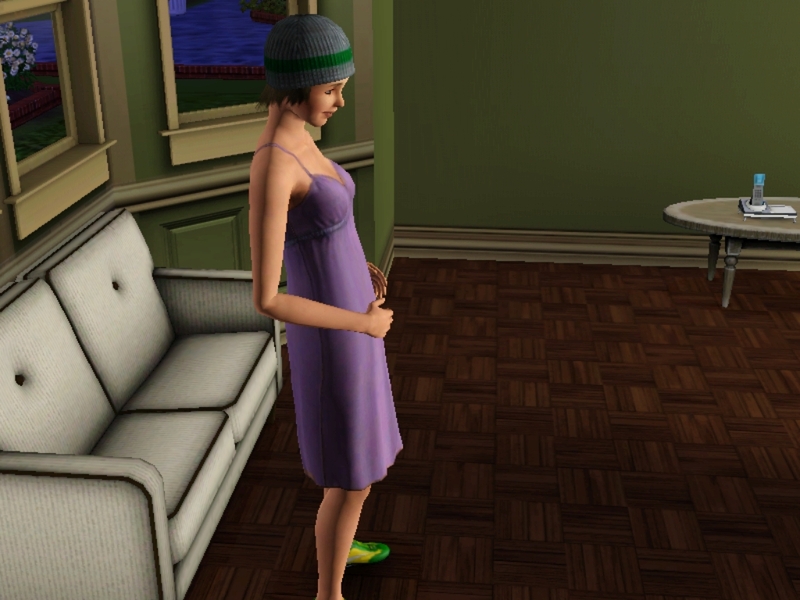 Yay Jenna’s preggers! I wonder what Raymond will think.. Awe he’s happy! Jenna wants to have a boy but Raymond decides that he wants a baby girl. 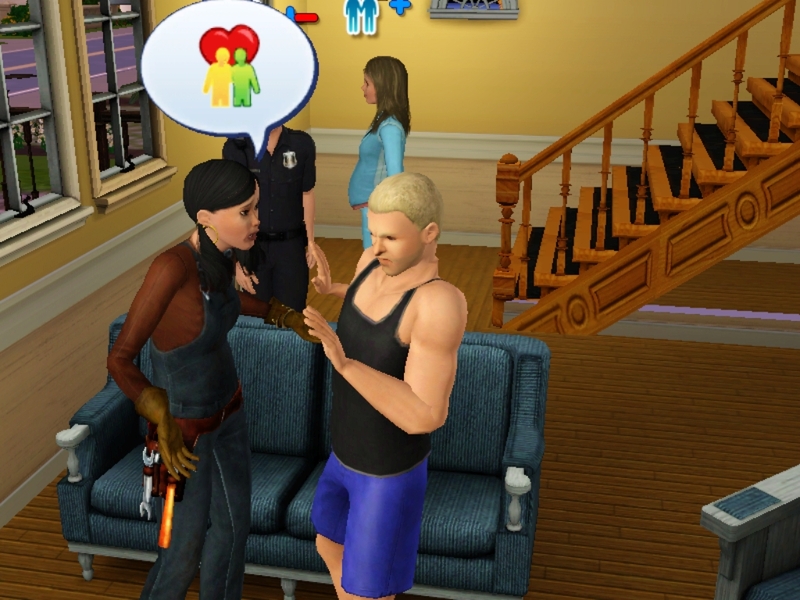 Awe, its daddy-to-be in his police uniform! Hank and his wife are also thrilled about the new baby that’s going to be in the neighborhood. Hopefully they will also have a baby so the two will grow up together! 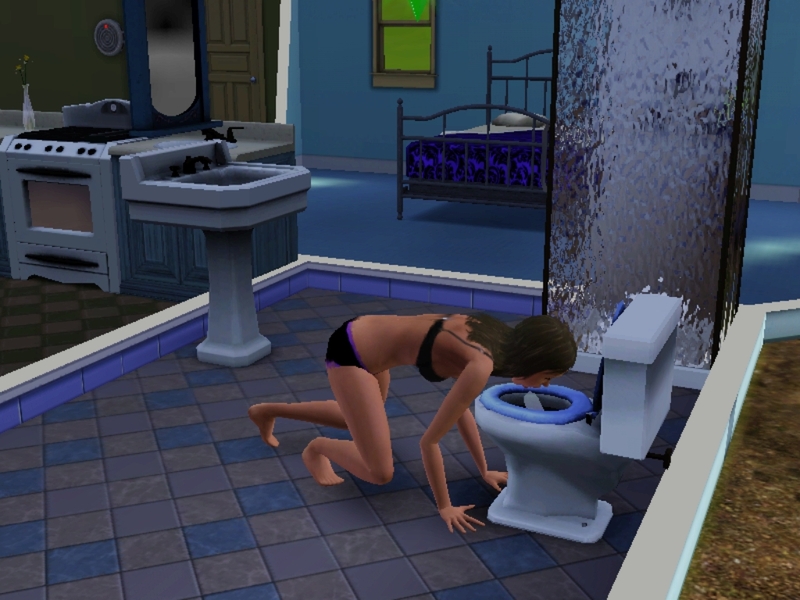 Right after the flirting is over with Jenna begins to give birth in her neighbors home! I love her face, don’t you? That ends chapter one! Tell me what you think of it! Oh and if anybody knows Hank’s wifes name can you please tell me, its driving me insane. 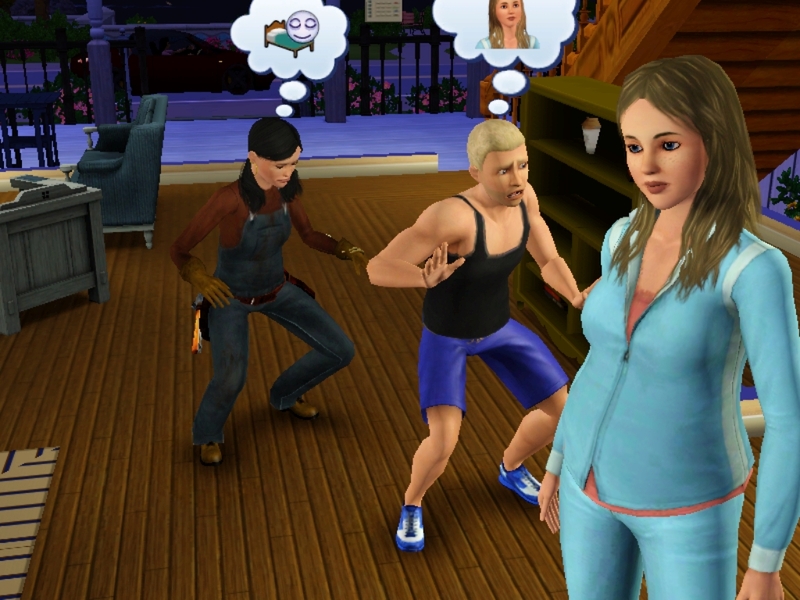 I can’t wait to put the next chapter up where I’ll give you the details on the baby boy and if another pregnancy just might be involved… SIM UP YOUR DAY! 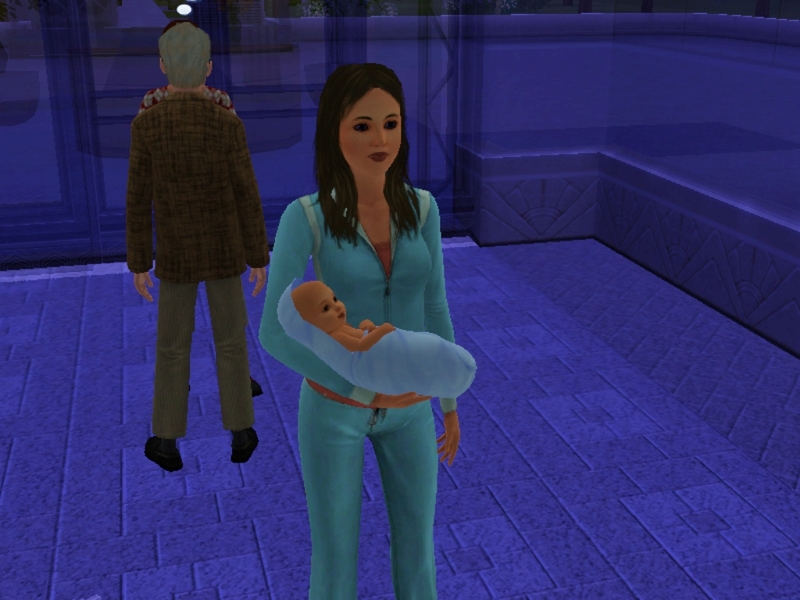 Posted in Uncategorized and tagged baby, Family, sims, Sims 3. Bookmark the permalink. 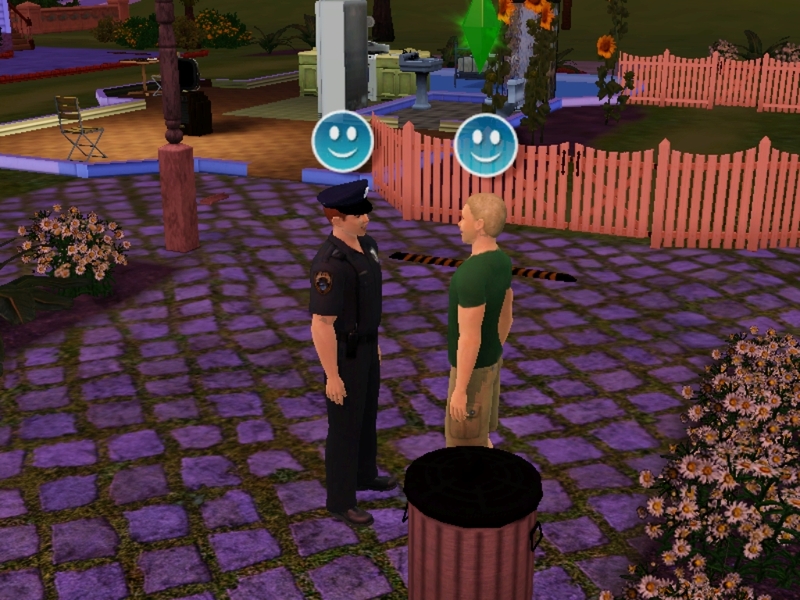 Posted in Uncategorized and tagged Family, Sims 3, Story. Bookmark the permalink.